Forty miles north of downtown Chicago, the Chicago River begins its journey in Park City, Ill., where a small stormwater channel enters the Greenbelt Forest Preserve and forms the headwaters of the Skokie River. From there it flows south through Lake County and Lake Bluff, Lake Forest, Highwood, Highland Park, then Glencoe, where it reaches the Chicago Botanic Garden in Cook County. 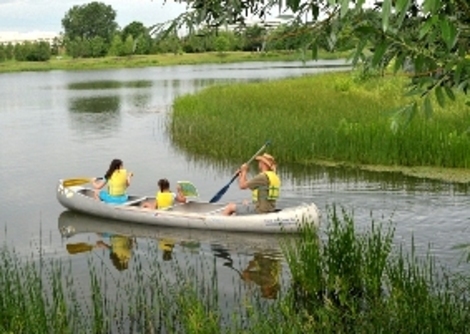 Just south of the Botanic Garden, the Skokie River forms the Skokie Lagoons in the Cook County Forest Preserves in Winnetka. It then continues south to merge with the Middle Fork in suburban Northfield to form the Upper North Branch. The Middle Fork originates with the water that runs off a residential development in Lake County just north of Abbott Park, Ill. From there, it flows south through Abbott Park, Lake Forest, and Deerfield, including Prairie Wolf Slough in the Lake County Forest Preserves, before entering the Cook County Forest Preserves in Northbrook. It flows into the Skokie River and continues through Harms Woods until it is met by the West Fork in the Chick Evans Golf Course in Morton Grove. The West Fork begins in a farm field located just north of North Park in north suburban Lincolnshire. This branch of the river flows south through Lincolnshire, Deerfield, downtown Northbrook, and Glenview before it combines with the rest of the Upper North Branch in Morton Grove. The Upper North Branch then continues to flow south through Niles into the city of Chicago, where it combines with the North Shore Channel at River Park and forms the North Branch of the Chicago River. The North Shore Channel starts in Wilmette flows through Skokie, Evanston and Lincolnwood to Chicago. Starting at the confluence of the North Shore Channel and Upper North Branch at River Park, the North Branch of the Chicago River flows south to the confluence with the Main Stem and the South Branch in downtown Chicago. The Main Stem is the portion from Lake Michigan to Wolf Point, a distance of about 1.6 miles. From the confluence south, the South Branch travels as far as Damen Avenue where it becomes the Chicago Sanitary and Ship Canal (CSSC). The CSSC flows through the city and out to Stickney, Garfield Ridge, Lyons, Summit, Countryside, Willow Springs, Burr Ridge and to Lemont. 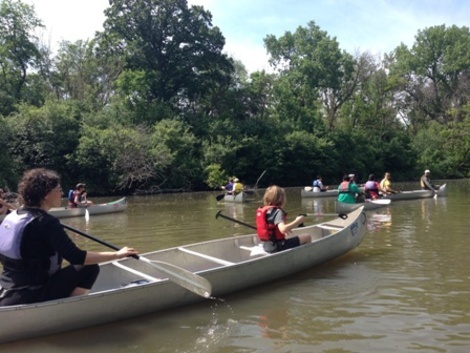 The CSSC meets the Calumet-Saganashkee Channel (i.e., Cal-Sag) near Palos in the Forest Preserves of Cook County. 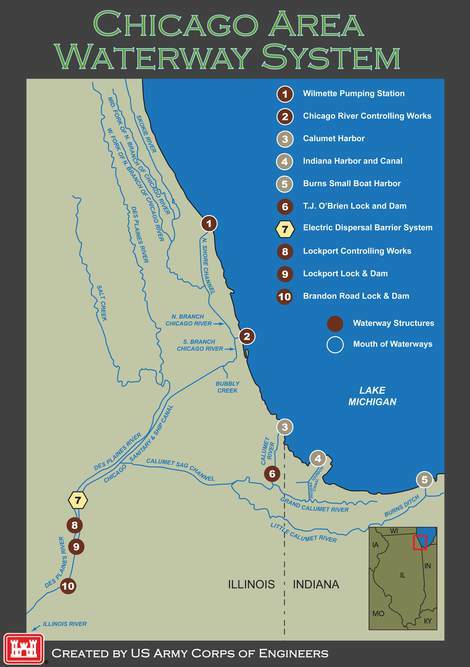 The Calumet river system, which has been hydrologically connected to the Chicago River via the Cal-Sag Channel since 1922, flows approximately 30 miles from Lake Michigan through the City, Dolton, Riverdale, Blue Island, Robbins, Crestwood, Worth, Palos Heights, Palos Park and Palos Hills to join with the Chicago Sanitary and Ship Canal. By looking more closely at where the river flows, we have a better understanding of its regional significance and connection as a blueway and greenway. It is a critical asset for people and wildlife alike that needs and and deserves to be protected and improved.